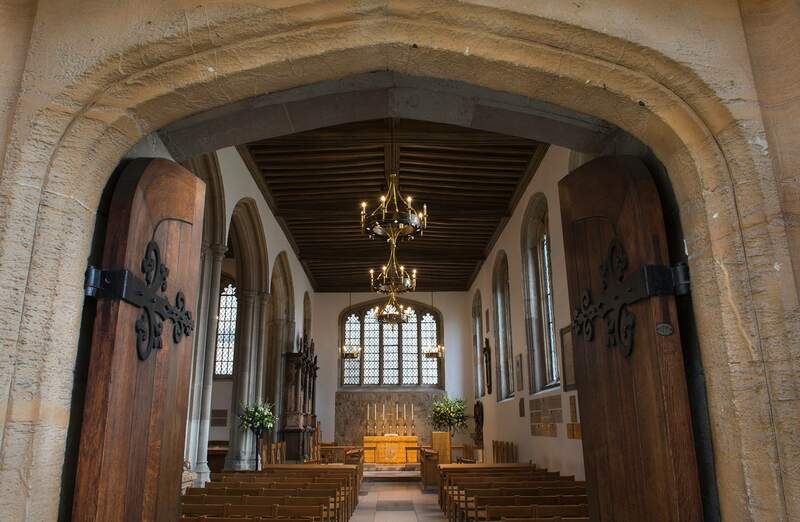 The Royal Chapel of St Peter ad Vincula at the Tower of London is an historically important place of worship and a popular destination for tourists. A refurbishment programme was completed, a key element of which was to improve the chapel’s lighting – important not only for its practical and its aesthetic qualities, but also to reduce energy usage. Working with lighting designer Bruce Kirk of Light Perceptions, Dernier & Hamlyn produced nine chandeliers that were carefully designed, engineered and manufactured to meet all of the requirements. The chandeliers were commissioned by Tracy Simmons, Conservation Building Surveyor at Historic Royal Palaces, the independent charity which cares for the Tower of London. 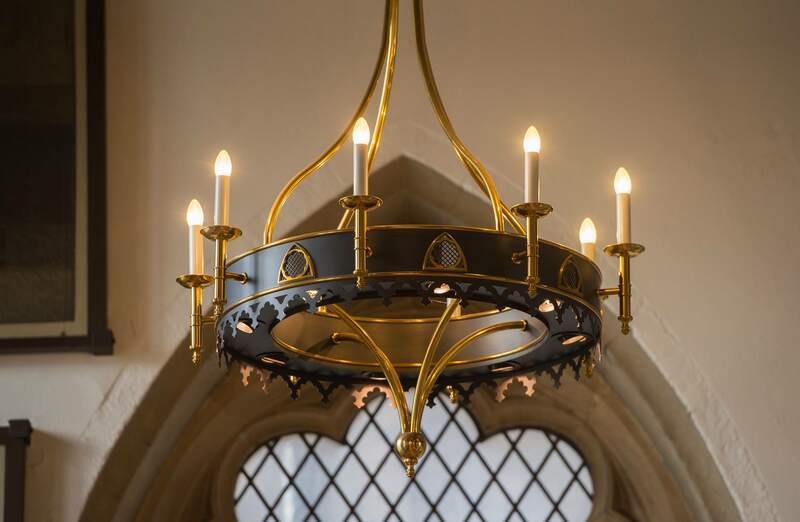 The design concept for the chandeliers made reference to the shape of the chapel’s arched windows and they were produced in our London factory in brass and hand finished in bronze and gilt. This project brought with it unique challenges that had to be overcome in order to provide adequate light levels and design integrity while optimising historically important features. For example, the Chapel’s beams were part of the original fabric of this Tudor building. The four large chandeliers positioned in the main nave of the chapel required support cradles to be fixed to these beams. This needed to be done in a way that allowed the energy efficient LED lamps to highlight important architectural features without damaging the ancient timbers. We designed the support cradles to fix around these beams, working with existing fixing holes to ensure this was achieved, and positioned the LED lamps so that their effect was maximised throughout the chapel.